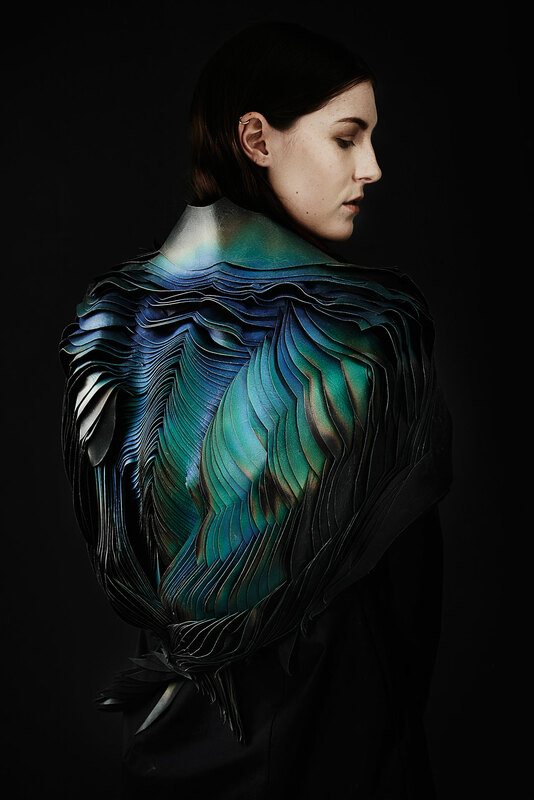 TheUnseen: Lauren Bowker, Jacket, from the AIR collection, 2014, Leather, wind-reactive ink. Jonny Lee Photography © TheUnseen. 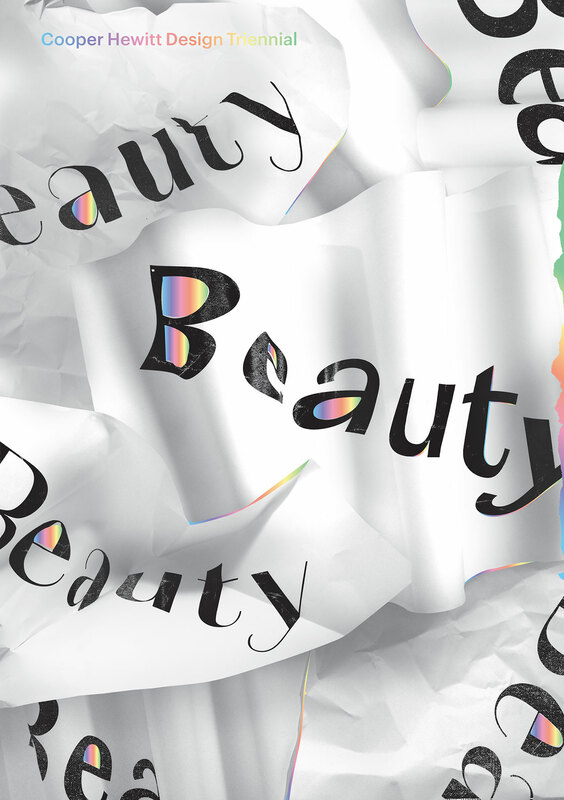 Despite the fact that attempting to answer the perennial question what beauty is may seem like a tall order, that’s exactly what the “Beauty—Cooper Hewitt Design Triennial” at the Cooper Hewitt, Smithsonian Design Museum invites visitors to do. Curated by Andrea Lipps and Ellen Lupton and featuring more than 250 works by 63 designers from around the globe, the exhibition explores the concept of beauty across contemporary visual culture, showcasing artefacts, prototypes and installations from a wide range of art and design fields. 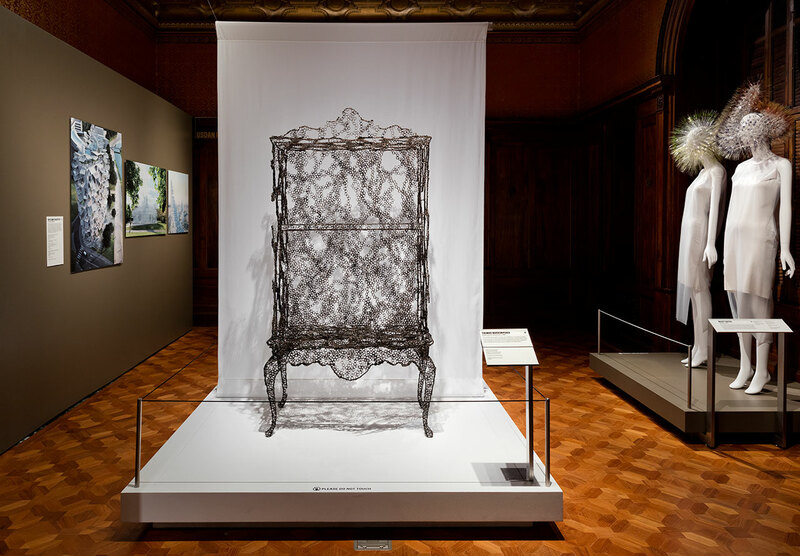 Installation view of "Beauty—Cooper Hewitt Design Triennial." Photo by Matt Flynn © 2016 Cooper Hewitt, Smithsonian Design Museum. 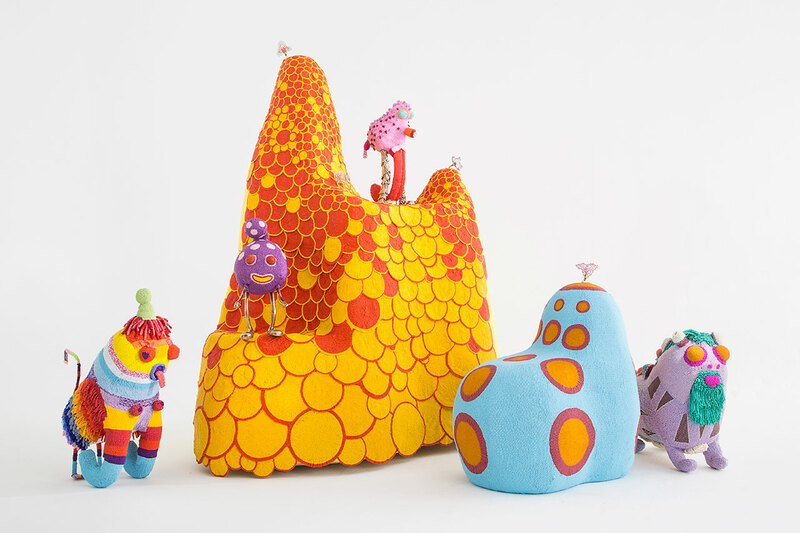 The fifth instalment of the museum’s popular contemporary design exhibition series, the show is structured around seven keywords (extravagant, intricate, ethereal, transgressive, emergent, elemental and transformative) and encompasses a wide range of exhibits from everyday objects like lamps, furniture and household products, to more specialised endeavours like haute couture, digital illustration and perfumery —all the way to extraordinary pieces like “Otaared”, a 3D-printed wearable device for extraterrestrial explorers, designed by MIT Media Labs’ Neri Oxman to facilitate synthetic biological processes on alien planets. © Cooper Hewitt, Smithsonian Design Museum. 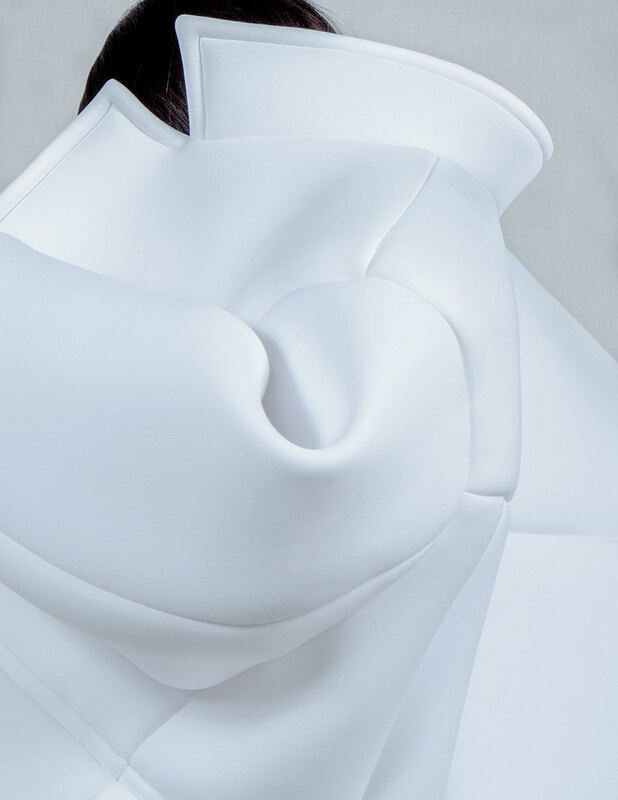 Melitta Baumeister, Jacket (detail), from Fall / Winter 2014 Ready-to-Wear collection, 2014, Neoprene. Featured in book, alternate object will appear in exhibition © Paul Jung / thelicensingproject.com. Daniel Brown for D’Arcy Thompson Zoology Museum, Still from Darwin flower animation, from On Growth and Form series; 2013, Real-time 3D (OpenGL / DirectX) flowers engine © Daniel Brown. Undoubtedly one of the exhibition’s highlights is Jenny E. Sabin’s 2-meter-high “PolyThread Knitted Textile Pavilion”. Commissioned by Cooper Hewitt and made from photo-luminescent and solar-active threads, the installation combines a sculptural aesthetic with structural innovation. The exhibition also includes Sabin’s 3D-printed ceramic "PolyBricks", a new kind of mortar less building material that is both practical and beautiful. 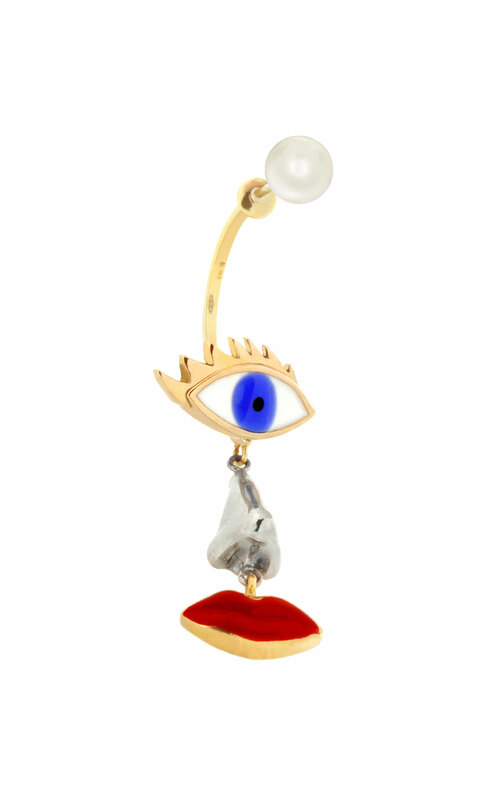 Delfina Delettrez, Single earring, from Infinity Spring Summer 2013 collection, 2012, Rubies, diamonds, pearl, gold. Featured in book, alternate object will appear in exhibition. © Image courtesy of Delfina Delettrez. 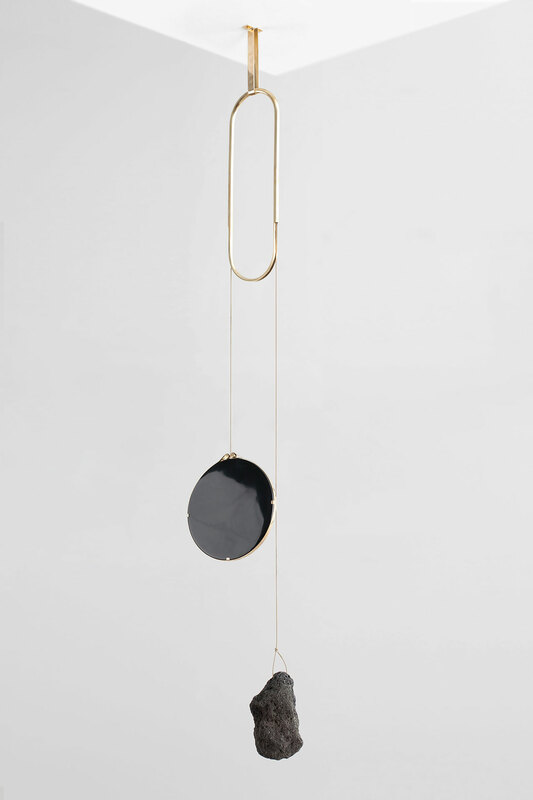 Formafantasma: Andrea Trimarchi and Simone Farresin for Gallery Libby Sellers, Iddu mirror, from De Natura Fossilium collection, 2014, Obsidian mirror, lava rock, brass, 150 × 40 cm (59 1/16 × 15 3/4 in.) © Studio FormaFantasma. The Haas Brothers: Nikolai Haas and Simon Haas with The Haas Sisters of Monkeybiz, Al-Gorilla, Eye-sik Newton, Neil Tongue, Bill Nyeland, Isle Be Back, and Fungulliver, from the Afreaks series, 2015, Glass beads, wire, wood, mixed fiber stuffing, and cast bronze. Monkeybiz is a nonprofit income-generating bead project founded in 2000. © Joe Kramm / R & Company. 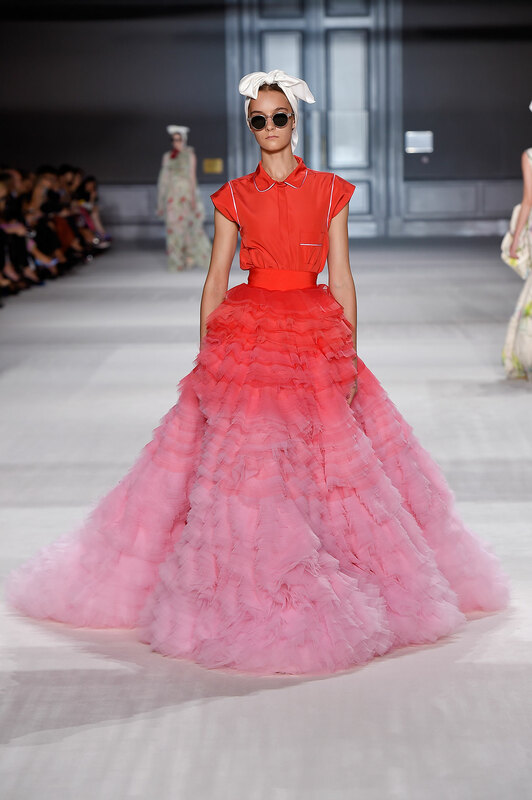 Prominently displayed, fashion designer Giambattista Valli’s long-tail tulle ball gown, which fades from crimson to pale pink, depicts beauty as “the domain of glamour, seduction and excess”. Similarly, hair artist Guido Palau’s iconic work photographed by his collaborator David Sims and ornamental fingernails featuring tiny, jewel-like sculptural elements by the Japanese manicurist Naomi Yasuda share an over-the-top extravagant aesthetic. On the other side of the spectrum, Tuomas Markunpoika Tolvanen has created phantom pieces of furniture (for his project “Engineering Temporality”) that have been constructed from a fine web of steel rings that possess an ethereal, melancholic beauty. 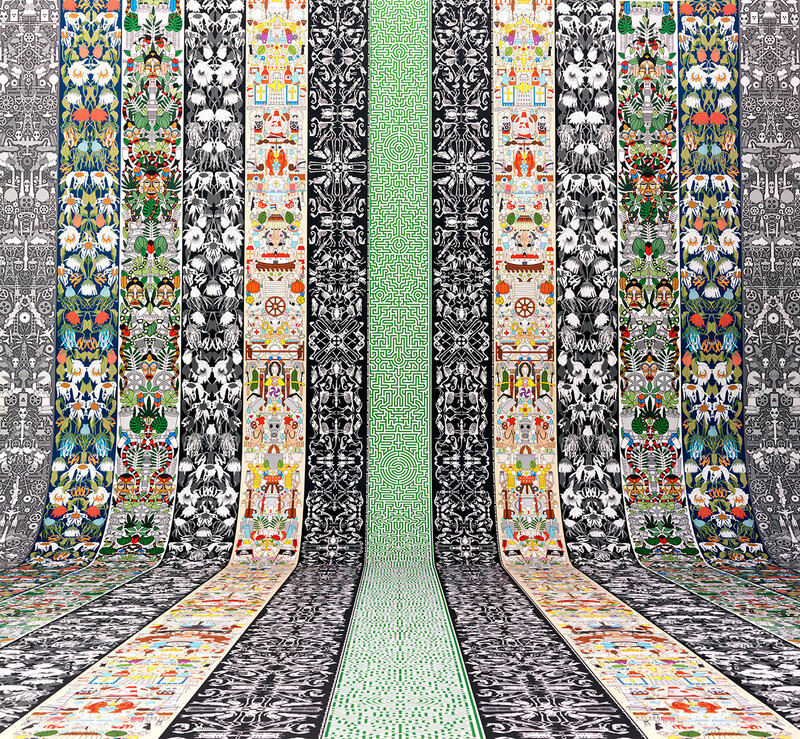 In the same area of the exhibition, visitors can find Pop-Victorian wallpaper by Studio Job and textured garments by fashion designer Mary Katrantzou. Wire and thread are hand-wrapped around fiqueplant fibers to create an iridescent rug, 2014. Featured in book, alternate object will appear in exhibition. © Image courtesy of Hechizoo. Humans since 1982: Per Emanuelsson and Bastian Bischoff, Clock prototype, A million times 288 H, 2013, Aluminum, electric components, powder-coated clock hands, screenprinted dials, 180 × 344 × 5 cm (5 ft. 10 7/8 in. × 11 ft. 3 7/16 in. × 1 15/16 in.). 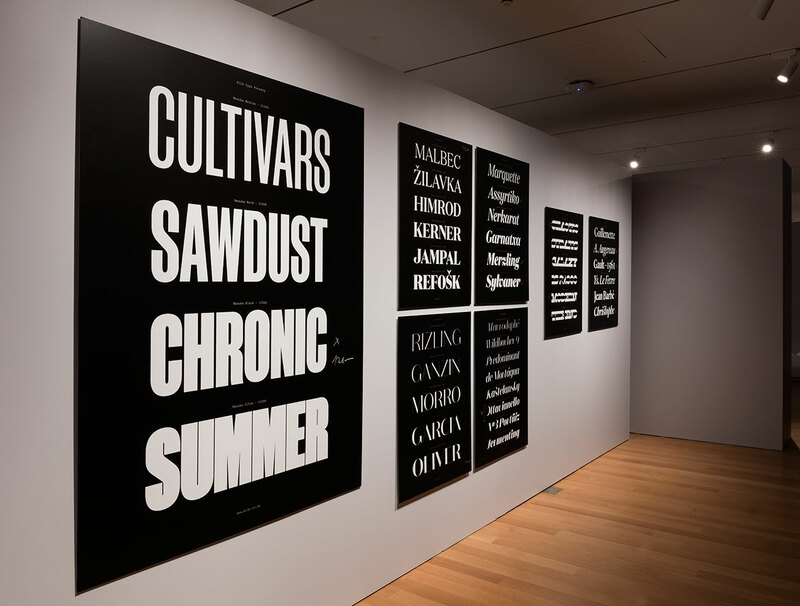 Courtesy of Victor Hunt Gallery © Cooper Hewitt. Industrial Facility, Sam Hecht and Kim Colin for Herman Miller, Formwork series, 2014, ABS plastic with non-slip silicone base © Cooper Hewitt. In another section, Ana Rajcevic’s wearable, body-enhancing, handcrafted sculptures from her series ”Animal: The Other Side of Evolution” emanate an animalistic beauty that suggests both strength and sensuality, whereas Noa Zilberman’s jewellery series “Wrinkles” spreads lines of gold across the forehead, neck or cleavage, celebrating something that contemporary beauty standards would normally disapprove of. For an “etheral” experience, visitors can access Berlin-based scent artist Sissel Tolaas’s Smell Lab, a small room installation that “simulates complex and often transgressive olfactory experiences” or scratch and sniff the 4-meter-wide painted wall outside the lab to experience smells of Central Park, including grass, car exhaust fumes and horse manure. 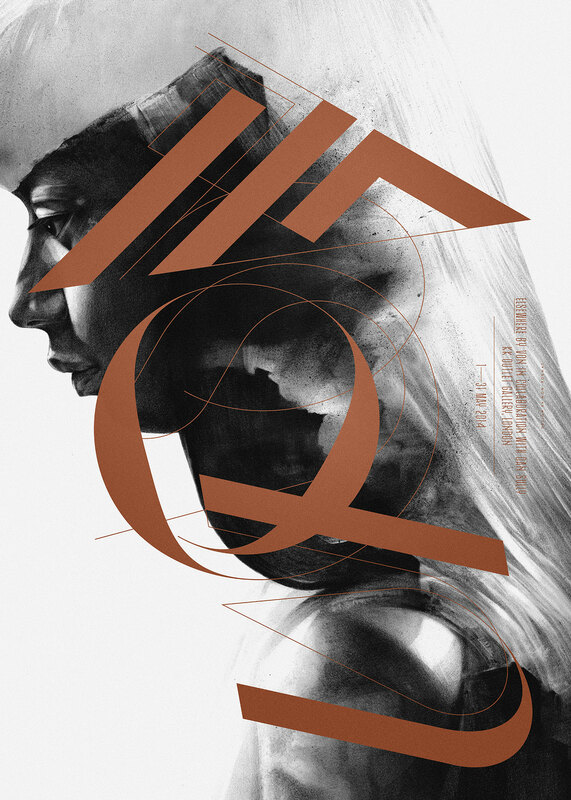 Non-Format: Kjell Ekhorn and Jon Forss, Illustration by Von, Poster, Elsewhere exhibition, KK Outlet gallery, London, 2014, Silkscreen printed in black and bronze ink, 70 × 50 cm (27 9/16 × 19 11/16 in.) © Non-Format. Aaron Koblin and Vincent Morisset for Arcade Fire, Still, Just a Reflektor, 2013, WebGL, Three.js, WebSockets, WebAudio, getUserMedia(), Device Orientation, Google App Engine, Google Compute Engine, Google Cloud Storage, Video, 7:33 minutes. Image courtesy of Vincent Morisset. Otaared, from Wanderers collection, 2014. 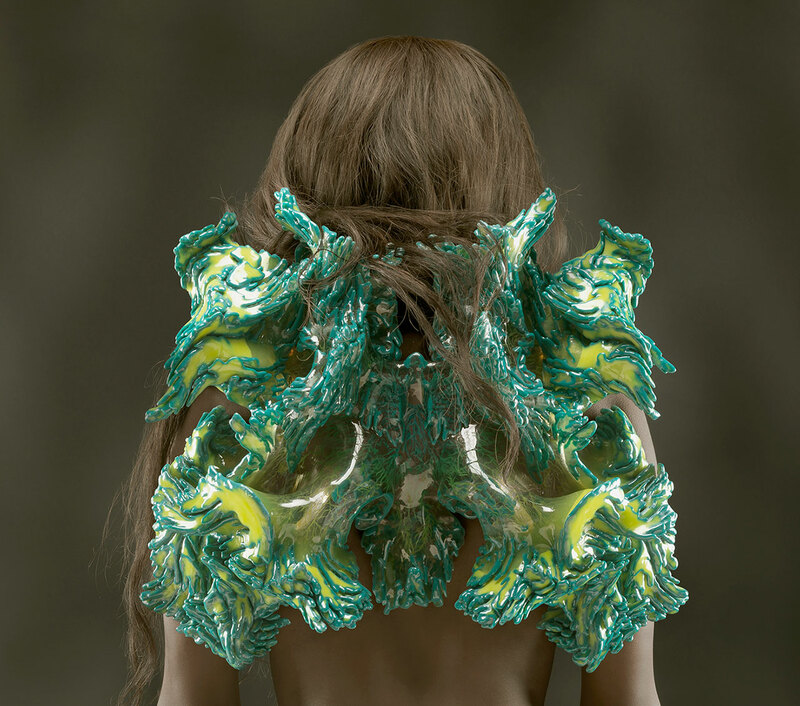 Designed by Neri Oxman and Mediated Matter, MIT Media Lab in collaboration with Stratasys, Ltd. Produced by Stratasys, Ltd. Multi-material 3D print. Courtesy of Stratasys, Ltd. Photo by Yoram Reshef. © Licensed to Neri Oxman only. The show also includes pop culture products such as the opening titles and credits for several critically acclaimed TV shows by Elastic, a design studio in Santa Monica, California, and Aaron Koblin & Vincent Morisset’s interactive video for music band Arcade Fire’s “Just a Reflektor”. The wide diversity of works on display both reinforce beauty’s subjectivity as well as demonstrate, as the curators explain, how beauty can affect us in many different ways: it can be "serene or disruptive, comforting or chaotic”. The exhibition is complemented by a catalogue devoted almost entirely to interviews in which, quite fittingly, nearly all the designers are asked about their thoughts about beauty. 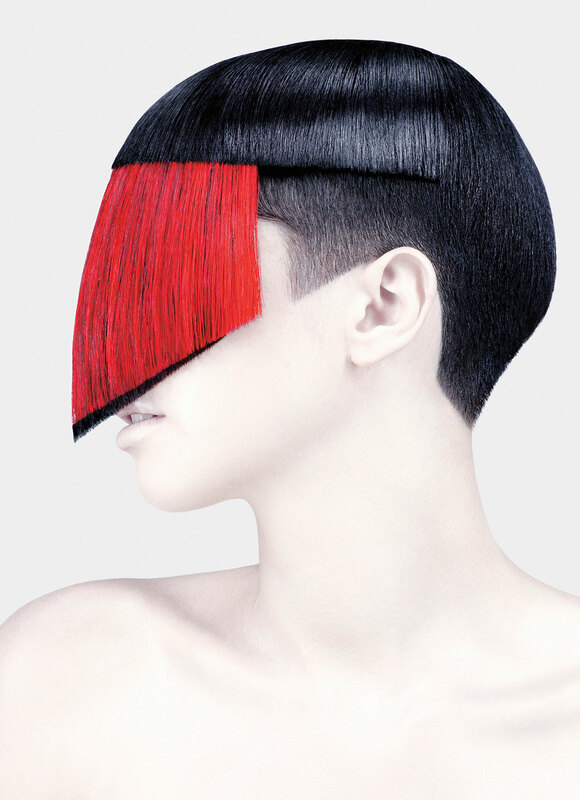 Hair styled by Guido Palau, Photographed by Fabien Baron, 2011. Featured in book, new work will be presented in exhibition. © Guido / Art + Commerce. Daniel Rybakken and Andreas Engesvik for e15, LT04 COLOUR floor light, 2014, Solid-colored pink laminated glass, solid-colored blue laminated glass, signal white powder-coated steel, 105 x 75 cm (41 5/16 × 29 1/2 in. ), 84 × 70 cm (33 1/16 × 27 9/16 in. ), and 75 cm diam. (29 1/2 in.) Photo by e15 © Studio Daniel Rybakken. 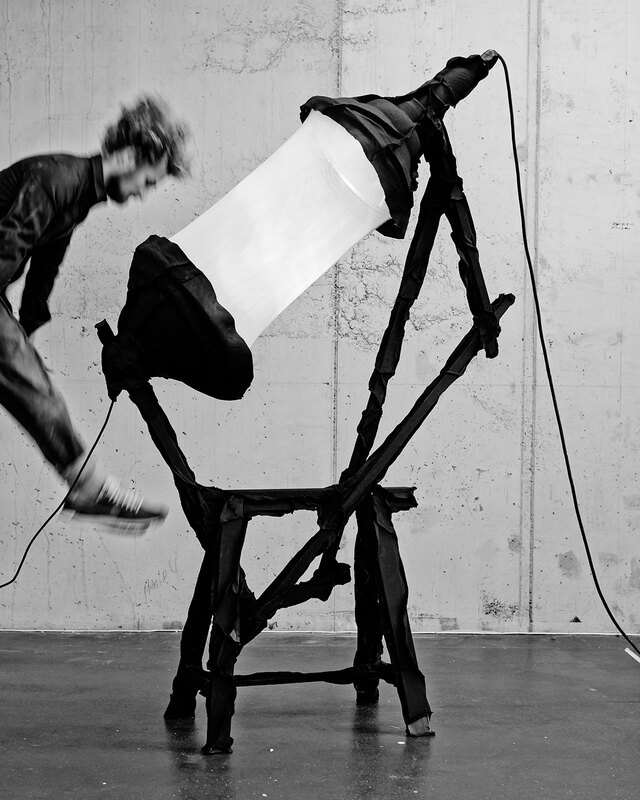 Pepe Heykoop, Skin vs G-Star Tension Light, 2014, Jeans, two lamps, melting pot, 200 × 130 × 50 cm (6 ft. 6 3/4 in. × 51 3/16 in. × 19 11/16 in.) © Photo by Jeroen W. Mantel. 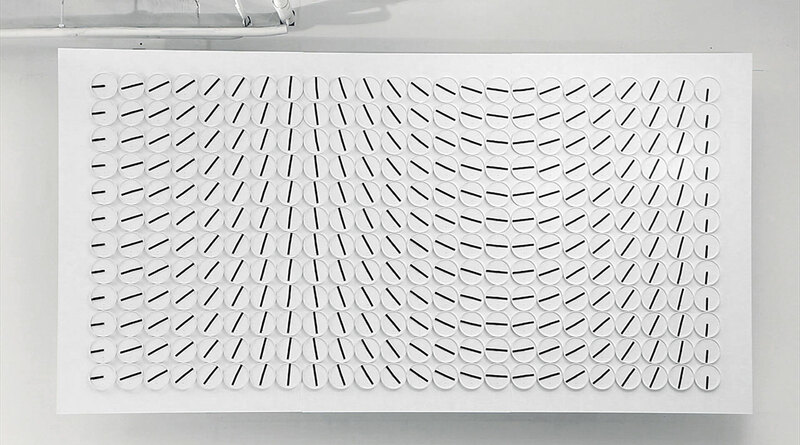 Kyuha Shim, Iteration, from Grid Brush: The Art of Selection typeface generator, 2014, 42 × 59.4 cm (16 9/16 × 23 3/8 in.) © Cooper Hewitt. 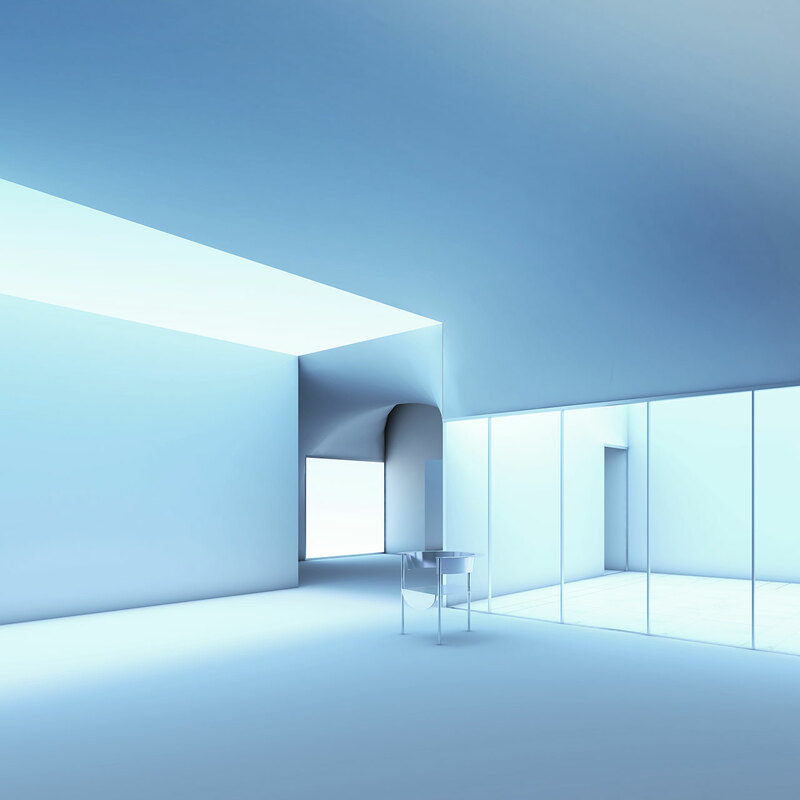 SO-IL: Florian Idenburg, Jing Liu, and Ilias Papageorgiou, with project team Kevin Lamyuktseung and Ted Baab, Rendering of Amant private arts gallery, New York, USA, expected 2017. Image courtesy of SO-IL. Studio Job: Job Smeets and Nynke Tynagel for NLXL, Wallpaper designs, from Archives collection, 2014 © Studio Job for NLXL. Jólan van der Wiel, Gravity stool, from Gravity series, 2014; Resin, iron filings, 46 × 34 × 38 cm (18 1/8 × 13 3/8 × 14 15/16 in.). Image courtesy of Jólan Van der Wiel. Giambattista Valli, Skirt and top, from Fall / Winter 2014–15 Couture collection, 2014, Tulle degradé, silk taffeta © Giambattista Valli. Designed by Iris van Herpen, with Jólan van der Wiel, Dress, from Wilderness Embodied Couture collection, 2013, Resin, iron filings. Courtesy of Iris van Herpen. 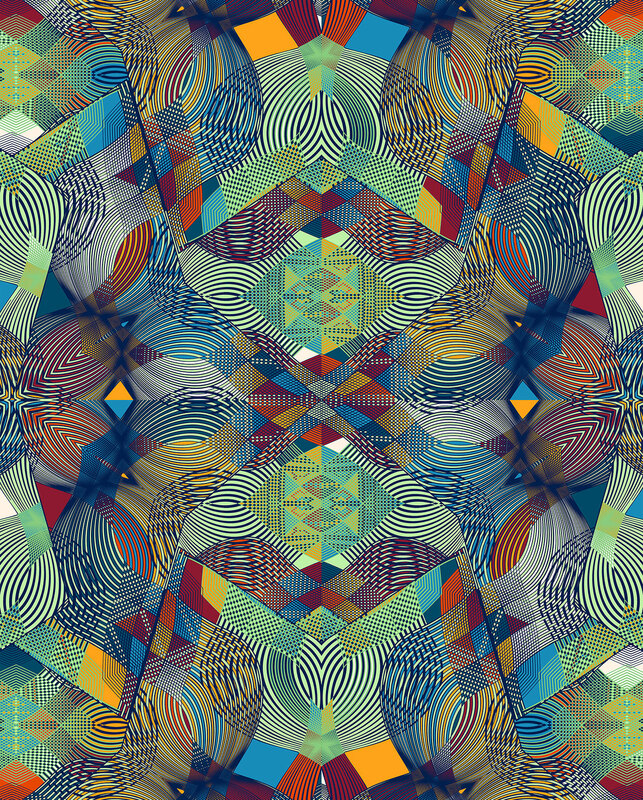 Vlisco, design by Francesca Franceschi, Textile, 5246/RW/3 Java, from the Think collection, 2015, Cotton, rotation and java resist printed on plain weave, 120 × 91.4 cm (47 1/4 in. × 36 in.). Featured in book, alternate print will appear in exhibition. 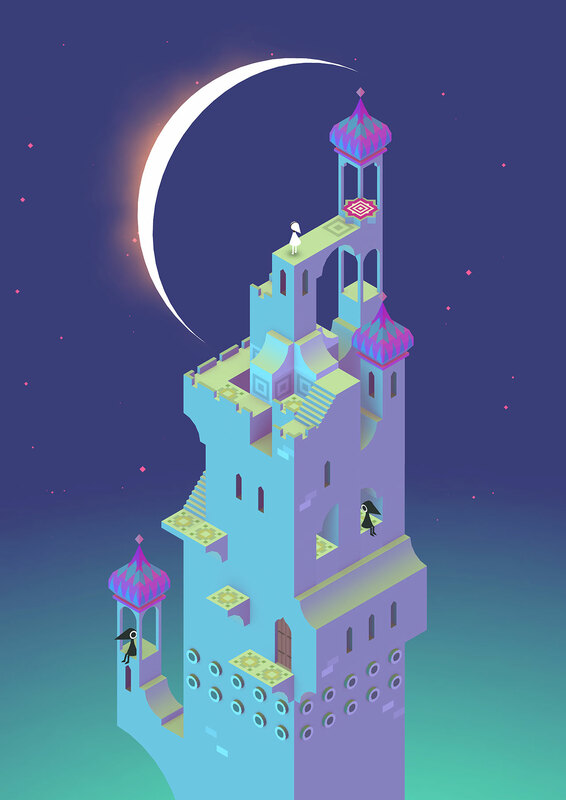 © Vlisco Netherlands B.V.
Ken Wong for ustwo studio, Digital illustration, Moon, Monument Valley game, 2014. Image courtesy of Monument Valley. 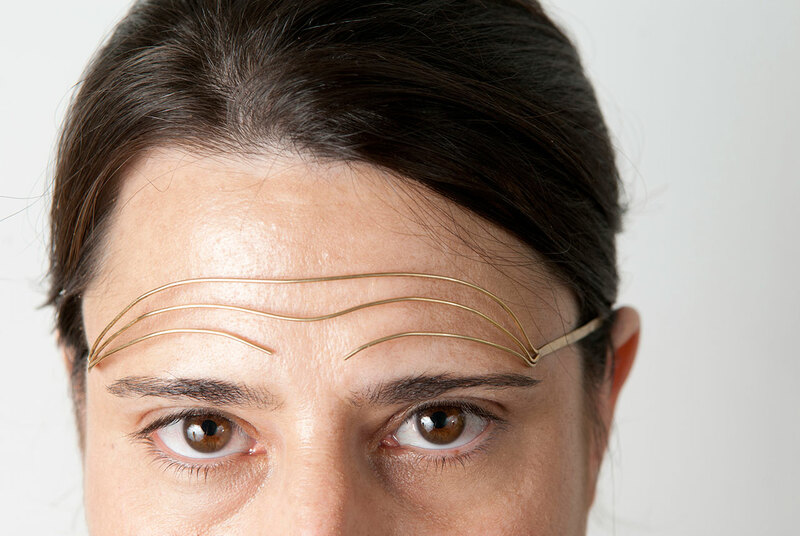 Noa Zilberman, Forehead Tiara, from Wrinkle Jewelry collection, 2012, Gold-plated brass, 2.5 x 10.2 x 12.7 cm (1 x 4 x 5 in.). Photo by Gideon Levine © Noa Zilberman.